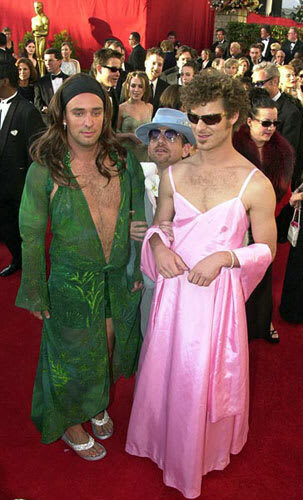 Approximately six-years later, the "South Park" creators admit that they were on acid after dressing in drag in homage to dresses previously worn by Gwyneth Paltrow and J. Lo. That doesn't excuse bulging metallic shorts though.